On Sunday 28th January 2018 EBS Counselling Service was lucky enough to have a table at the Community Showcase event at The Point in Eastleigh. There were 50 Exhibitors at the event from a wide range of organisations within the Community. 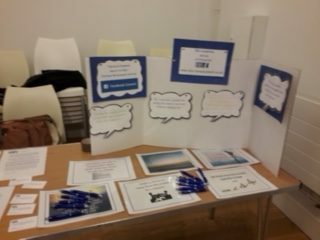 The event was well attended and a good opportunity to network and promote EBS Counselling service. A day well spent.